As cloud computing is taking center stage for different IT enabled business enterprises it is highly essential to define policies, procedures and service level agreements (SLA) in order to maximize the value of cloud for both the consumer and the service provider. SLA statements written must be measurable, achievable, relevant and timely and should remain specific for cloud services aimed at minimizing ambiguities for both the cloud consumer and the cloud service providers. The cloud service models (IaaS, PaaS, SaaS, etc.) offer new paradigms of computing resources and IT enabled capabilities for all types of organizations. IT industry experts claim that over 80% of enterprises have adopted some cloud service in their organization. The key term ‘service’ in cloud computing creates the need to develop contracts named service level agreements (SLA) between the client organization and the cloud service provider (CSP). SLAs are used by companies for a long time, especially when the company hires third party service provider to manage some of their business operations. SLAs will ensure the consumer receives all the services availed as agreed by the provider and of course ensure money’s worth for the client. Likewise, an organization deciding to hire cloud services for their IT needs, SLAs come into play to make sure the services offered by the CSP are delivered as promised. SLA has become a pre-requisite due to cloud business strategy and provides series of rules and directives that must be taken by cloud consumers to evaluate and negotiate terms with CSP. It describes a set of non-functional requirements of cloud services. An example of SLA can be the return of operations (RTO) in case of any service failure in the cloud. Roles and Responsibilities: Consumers must understand the roles and responsibilities and business relationships between them and the CSP. For example, an indirect actor namely cloud carrier is an entity providing the carrier or transport for cloud services between CSP the consumer. In this scenario, the SLA must cover provisioning of alternative carrier in case of non-availability our outage with one carrier. According to NIST (National Institute of Standards and Technology) reference architecture, the actors involved in cloud are: Consumer, CSP, Auditor, Broker and Carrier, with unique roles. Cloud consumers must recognize and understand the activities and roles of each entity or service in the cloud as explained by CSP including their own set of responsibilities. Examine Business Level Policies: Business level SLAs would define Guarantees provided by the CSP (for example, guarantees will include 99.99% uptime, measurable performance and usage, etc.). Acceptable use policy is a business level SLA statement where the CSP describes how the service should be used, List of services not covered and Excess usage. Normally, the CSP will encourage the consumer to buy resources that is only required for their business. Other policies will include Payment and penalty models, Activation, Renewals, Transferability, Sub-contracted services, Licensed Software, Industry specific standards and Support. Data Level Policies: Data level policies are critical in SLA. Here CSP will explain on how the consumer’s data is governed and protected in local jurisdiction or other locations where the data will reside or made available. Consumers must carefully evaluate legal requirements on how SLA will handle issues related to movement of data to offer multi-site storage in different jurisdictions for redundancy. The other critical SLAs in data level policies include, Data Preservation – backup, restore, redundancy, etc. ; Data Locations – will verify data locations for consumers; Data Privacy – defines how consumer data is secured and used; Data Seizure – in some circumstances the data can be seized by government agencies, etc. Therefore, data level policies in SLA are the most critical policies which must be evaluated thoroughly by consumers. Service and Deployment Model Differences: Service models are categorized as IaaS, PaaS and SaaS. The service models in cloud are unique in terms of service delivery and are defined with unique SLAs. Likewise cloud deployment models are private, public and hybrid clouds which have a unique set of SLAs. According to Cloud Standards Customer Council (CSCC), consumers should understand the nuances of service and deployment models and their corresponding SLAs because their value and risk varies significantly. Describe Objectives for Critical Performance: SLA in performance objective relates to efficiency, accuracy and service delivery. Performance statements in the SLA will help consumers to measure and audit different aspects on cloud performance. Performance metrics are dependent for each service IaaS, PaaS and SaaS. For example, performance considerations for IaaS will include network and compute and so on. Security and Privacy Considerations: SLAs related to security and privacy considerations deals with information assets – data, applications, functions and processes and can be defined based on criticality and sensitivity of consumer data. Normally CSPs offer global security standards defined in standards such as ISO, COBIT, ITIL, etc. The SLA will also cover alternative actions in case of security breaches or data loss for the consumer. In addition to the above roles, SLAs will also define areas such as disaster recovery, service management, auditing, self-service metering and provisioning, solutions for service failure, remedies and limitations in cloud services. SLAs will also state exit processes followed in case a consumer wishes to discontinue from a service provider. This entry was posted in Cloud and tagged cloud, cloud services, cloud SLA, SLA in the cloud on November 5, 2015 by admin. The debate on which cloud model is right for business often arises when an organization plans to migrate to the cloud. Both, the private and public cloud models have their own set of pros and cons. Any organization migrating to the cloud must first carefully understand public and private clouds for their benefits and disadvantages and finally decide their journey into the cloud. The advent of cloud computing models is providing new directions for organizations in terms of scope and value. Organizations that are fully dependent on IT to meet business goals have understood the value of cloud computing for its availability, scalability, instant provisioning, virtualized resources and storage. Both private and public cloud models are available from cloud service providers but, first an organization thinking to deploy a cloud service must carefully examine the advantages and disadvantages of both private and public clouds. Public clouds are hosted services available by cloud service providers on the internet. Organizations that use web servers or application systems where security and compliance requirements are not very rigid normally prefer to use public clouds. For example, public cloud services are available in the form of web based email, data storage or file transfers over the internet, online office applications, web hosting and so on. Public clouds are most suited for start-ups and small businesses because of minimal set up costs. The resources (servers, storage, etc.) are shared between multiple users publicly and the infrastructure, services and usage policies are managed by the service provider. Contrary to the above, private clouds or enterprise clouds are used by organizations that have security, compliance and data privacy as their top priority. Private clouds are deployed inside firewalls and offer robust IT security for the organization. If a data center infrastructure is already available with the organization the private cloud can be implemented in-house. However, for having in-house private clouds the organization needs to invest heavily in running and maintaining the infrastructure which can result in significant capital expenditure. This can be a major setback for organizations thinking to reduce IT budgets. Private cloud services are also made available by cloud service providers or data centers. Examples of private cloud implementations can be easily found in areas such as banking and financial institutions, large enterprise organizations, government organizations, etc. where only authorized users are able to access the system. It is essential to understand the intricacies of both these models before deciding to choose the appropriate model for the organization. The table below summarizes the main factors which can be used to determine between private and public clouds. Private cloud infrastructure is a dedicated infrastructure provided to one single organization or client. Controls: Better controls for data, users and information assets. Cost: Initial investment for hardware is very high in case of an on-premise infrastructure. Security: The cloud belongs to a single client. Hence, the infrastructure and systems can be configured to provide high levels of security. Superior Performance: Normally private clouds are deployed inside the firewall of the organization’s intranet which ensures efficiency and good network performance. Easy Customization: The hardware and other resources can be customized easily by the company. Compliance: Compliance is achieved easily in private clouds. In public clouds the resources are shared between multiple clients and all the services are controlled by services provider. Simple and easy: Public clouds are available as a service in the internet, they are easy to deploy. Cost: Initial investment is very low or nil. Less time: The IT resources and services are available immediately saving time for the company. No maintenance: The hardware and networks are maintained by the cloud services provider. Internal IT staffs have no responsibility in maintaining the infrastructure. No contracts: No long term commitment with service provider because public clouds are usually pay-as-you-go models. Cost: Costs are substantial in the case of building an on-premise private cloud. The running cost would include personnel cost and periodic hardware upgrade costs. In the case of outsourced private cloud, operating cost will include per resource usage and subject to change at the discretion of the service provider. Lacks proper controls: The client has no control of data or infrastructure. There are issues of data privacy and integrity. The service level policies and compliances are completely enforced by the service provider. Under-utilization: In some instances the resources subscribed can be under-utilized. Hence, optimizing the utilization of all resources is a challenge. Performance: The performance of the network depends on the speed of the internet connectivity. Capacity ceiling: Due to physical hardware limitations with the service provider, there could be a capacity ceiling to handle only certain amount of servers or storage. Weak on Security: Since the hardware resource is shared between multiple users, IT security issues are more profound and data is vulnerable to thefts. Vendor lock-in: This can be a major impediment in private cloud adoption especially when the hardware and infrastructure is outsourced. This is a service delivery technique where the client company is forced to continue with the same service provider, thus preventing the client to migrate to another vendor. Customization: Customization of resources or services is not possible. Depending on the organization’s computing environment based on the above factors along with the levels of security and scalability needed, the organization can decide between deploying a private or public cloud. This entry was posted in Cloud and tagged benefits of public cloud and private cloud, disadvantages of public cloud and private cloud on October 30, 2015 by admin. In highly volatile markets, business organizations follow strategies to explore new opportunities. These strategies will be based on agility, flexibility and developing capacities to scale up or down to stay ahead of competitors. Cloud computing service models promote business growth because they promote business agility due to advantages such as scalability and cost savings. Cloud computing in any of its forms viz, IaaS, PaaS, or SaaS enables organizations to minimize their complexities in running their own infrastructure. According to Gartner, IT service industry is constantly facing challenges from two opposing areas – Business and IT. On the one hand, business organizations demand new and innovative systems to engage customers, gain new markets and promote efficient partner interactions. On the other, there is a constant demand for reliable and efficient IT services to handle business demands efficiently. Cloud based services due to their scalable nature can be considered an ideal solution to tackle both these challenges. To understand how cloud can enable business agility, we consider one business example. Suppose the sales and marketing team identifies one new opportunity to be capitalized quickly, there is an immediate need for new systems and applications which normally takes over 3 or 4 weeks to setup, by which time the opportunity could be lost. Cloud models provide on-demand IT resources rapidly to make available the network infrastructure along with applications which can be used by the organization immediately to gain value. When this opportunity ceases the resources can be de-scaled, thus saving cost in investing and maintaining new hardware. Organizations desiring to be agile tend to be more elastic in their approach in responding to changing market needs quickly and cloud models due to their elasticity allows organizations to innovate and experiment with minimum financial impact. Hence, business agility is the ability to capitalize on new potential opportunities much more quickly than competitors. According to one study done by HBR analytic services in 2014, companies are adopting cloud computing to increase business agility and gain competitiveness. Cloud computing due to its ability to scale plays a key role fostering business agility. Scalability refers to functioning efficiently in changed business contexts. For example, consider an e-commerce portal selling gift items and life style products that performs around 2000 transactions per week on the average. The same portal can experience a rapid surge in the number of hits going up to 2 million transactions during festive season. In order to handle such sudden rise in volume, the servers, storage and network needs to scale upwards automatically to handle transactions easily. Cloud models provide automatic scaling or de-scaling of servers, storage and network bandwidth to handle large volumes efficiently. Likewise, again when the demand is low, the cloud bandwidth will adjust itself to the volume of data. Therefore, clouds helps to converge different business processes through rapid provisioning of resources (storage, compute, network, etc.) to handle changes in size or volume of data to fulfill changing business needs driven by external environments. Cost optimization in cloud is another area for discussion within business circles. Cloud computing models do not require spending money on purchase of new hardware or there is no capital expenditure involved instead, the money spent in using a cloud service model is known as operating expenditure. There are two payment models offered by cloud service providers. One is known as pay-per-use model where the consumer is charged for utilizing a resource for a specified duration. Pay-per-use can be any type of resource such as hardware, software, or application (for example, storage in GB, CPU, network bandwidth, etc.). In this model the consumer pays for each resource utilized. The advantage here is that when the resource is not utilized or needs to scale down it can be returned back to the data center and no charges are billed to the consumer. The other model is fixed price model where the consumer pays a fixed amount for certain amount of unit resources for a time period (normally in months or a year). Fixed price model is also known as subscription model. In the subscription model the consumer also pays for resources that are not actually used or consumed. This is seen as wastage of resource and cost. The company depending on its business need can choose the most appropriate pricing model in order to benefit from operating costs. It may also be noted that pay-per-use model is dynamic where the prices are changed according to resource purchased. In addition to pricing, cloud computing optimizes cost to a large extent because the benefits of agility are more profound and substantial in the long run than mere cost savings. The scalable nature of cloud computing in its service delivery model along with the integration of external information sources caters to business growth efficiently. Cloud computing technologies with their service models is a true enabler for organizations to achieve business agility, scalability and cost optimization. This entry was posted in Cloud and tagged cloud computing, cloud in business on October 8, 2015 by admin. Over the past few years cloud computing services and delivery models are being embraced by organizations globally for their numerous benefits. The data aggregated from cloud adoption trends show that companies are willing to use cloud services due to their business and IT benefits and to avoid costs in maintaining and upgrading their in-house infrastructure. The various cloud service models available from cloud service providers in combination offer an added advantage for companies planning to adopt a model that is most appropriate for their operations. Cloud computing services provide the opportunity for companies to adopt the best suited service delivery models in combination to address business needs with efficiency and speed. The benefits offered by the cloud in general are: collaboration, data availability, flexibility, greater business agility and cost savings. Cloud computing services are providing the headlights on how companies can invest and use technology. This is further highlighted by the report titled “Cloud adoption Practices & Priorities Survey Report” published by Cloud Security Alliance (CSA) in January 2015. Their survey shows an interesting 86% of IT companies have adopted some kind of cloud service within their organization. The focus of this article is to understand some of the top benefits that can be derived from cloud from the perspective of organizations’ as a whole. The main advantage of cloud adoption is that it offers scalable enterprise IT with speed. Speed can be understood as efficiency and is a pre-requisite for gaining competitive advantage. The cloud offers the required speed for a company to launch new products quickly and gain competitiveness in markets easily. Cloud models create what is known as ‘shadow IT’, where the need for IT personnel is reduced and employees are able to use enterprise applications efficiently. This can be another advantage. Hence, companies in almost all sectors irrespective of their size, scale and strategic goals can reap benefits from the cloud. 1. Reduced Capital Expenditure: Capital expenditure refers to money incurred on purchasing new hardware and in building and managing an in-house IT infrastructure. In the case of cloud, there is no need for any in-house infrastructure equipment as the entire network and storage infrastructure can be made available from a data center. Likewise the company need not spend money in upgrading hardware and buying software licenses with limited time span because the cloud service provider will take the responsibility for providing infrastructure and provisioning resources (both hardware and software) for the company to suit business needs. In the cloud, resources are made available on-demand and redundant resources can be returned back, thus saving cost. Similarly the company may not spend money on hiring IT personnel to look after the infrastructure. Also, the cloud provides the ability to expand easily in future without additional expense in purchasing in-house equipment. 2. Scalability, Flexibility and mobility: Cloud allows users the ability to scale or de-scale infrastructure on demand with ease, resulting in optimal utilization of resources. This apart, cloud services allow users to access resources from remote locations using any type of device (Tablets, Laptops, Smartphones, etc.). Data, files and documents can be accessed around the clock and it is also possible to work online replicating an office environment. Hence, flexibility and mobility are inherent benefits which make employees to be productive. Cloud models provide everything that allows people to stay connected while being mobile. 3. Easy to maintain and upgrade: The management of infrastructure (servers, storage, software, network, bandwidth, etc.) is the responsibility of the cloud service provider. With this benefit the in-house IT personnel can be allocated with other work and may not engage themselves full time to monitor the IT department. Cloud service providers hire teams of experts who are responsible to ensure continuity of service. In addition to this, upgrades are done by the service provider and may not be done in-house which saves time and money for users. This implies that whenever a new solution or a patch is implemented in the cloud, it becomes available to all the users immediately at no extra cost. 4. Enhanced IT security: The area of IT security is highly critical for organizations. Many companies have compromised their data and information due to security breaches or attacks. Cloud computing actually makes servers and storage more secure by defining different levels of security by implementing robust intrusion detection and prevention systems, firewalls and performing security audits regularly in their data centers to protect data. As cloud computing models are maturing fast the aspect of security and fear of data loss or theft is relieved for the user. 5. Ensures Business Continuity: This benefit refers to providing continuous IT services to ensure continued business operations during events such as technology outage, hardware failure or even unexpected disasters such as fire or flood. Business operations can be seriously affected and disrupted for many days during such events particularly in case of in-house IT systems. The remote working capabilities offered by cloud models ensures user data and services are available during unforeseen events. With cloud services, employees can simply login normally from their laptops and perform work as usual. 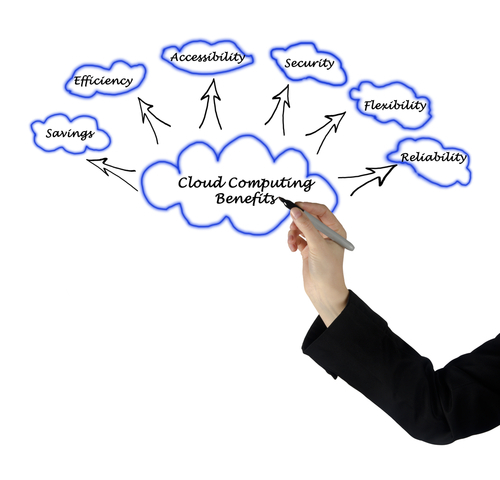 In addition to the above benefits, there are many more advantages of cloud computing services. Clouds ensure smooth integration of data during mergers and acquisitions, launch new business products or services without spending money on supporting systems and leveraging latest technology and tools to foster a tech-savvy enterprise, and so on, to mention a few more advantages. This entry was posted in Cloud and tagged advantages of cloud adoption, cloud adoption, cloud adoption benefits on September 14, 2015 by admin. How cloud computing can foster business agility? In the current competitive market scenario, business agility is one key enabler for businesses to sustain their operations and achieve competitive gains. Business agility is all about adapting quickly to rapid market conditions and not getting lost in the competition. Conventional IT infrastructures have issues in quickly provisioning resources to support new business initiatives. Cloud computing models are an ideal IT service solution to overcome issues in IT resources and simultaneously promote business agility to achieve competitiveness. Cloud service providers claim that adopting a cloud for business will lead to competitiveness and optimize business outcomes by improving agility. These claims is inspiring but let us first understand agility from the perspective of both, business and IT and examine how cloud models can support business agility. Firstly, the definition of business agility states that it is a term or a concept where organizations approach their markets and operational changes as a matter of routine. Business agility is a quality in which organizations adjust immediately to changing market conditions, take advantage of potential opportunities quickly, rapidly deploy new distribution channels at reduced costs and maximize their profits in the process. CIOs experts claim that among the number of new technologies available, cloud computing models are ideal to realize business agility within an organization. This is because cloud models permit scalability (up and down), adjustable per user costs, pay for each resource and so on. Cloud computing can embrace an agile organization by supporting mobility, encouraging internal communication through collaboration software and permit interactions with customers in real time in order to create a constant feedback loop to drive business agility efforts. The concept of agility is similar to the methods of agile project management where project teams analyze their priorities and project tasks are continuously evaluated throughout the entire project life cycle, rather than evaluating outcomes and performance at the end of the project. Basically, business agility is a systematic approach in change management which provides a framework for the organization on how to respond to change without neglecting the needs of the entire organization. An agile enterprise is understood as immune to change, and proficient in adopting itself to any change (internal or external) in a sustainable manner. Quickly adapt to changing business processes: In agility existing business processes are changed or new processes are introduced. This change in processes would require IT resources to be replaced or new resources to be added. Cloud computing easily handles these changes by allowing companies to quickly add or change IT resources easily to support their changed processes. Enables on-demand resources for development and testing: Resources are needed to support business processes and to test and develop new software. Procuring new resources and implementing them within the existing infrastructure can be time consuming and can introduce significant delays in capitalizing business opportunities. This can also be a business risk since money is spent on new expensive resources and must not become counterproductive. Adopting a cloud model will eliminate these risks as resources are available on-demand which saves time. Further, the usage based payment offered by cloud models replaces the initial up-front cost spent on new resources within the company. Optimizes IT budgets: The usage model of pay per resource supports business companies to implement and test projects faster, saving money from new resources to be procured and made available. This eliminates budget allocation for IT capital expenditure, and supports finance to easily allocate fixed costs incurred on monthly basis. Cloud models makes it possible to have good control on unexpected IT spending with very little effort. Focus more on IT strategies: Clouds are flexible and can scale quickly to provide speed and efficiency for business processes and transactions. Cloud applications can be accessed via the internet which supports businesses to access their elements and have more productive interactions with customers. IT teams have less burden of maintaining an infrastructure and the focus can be more on implementing new applications that are productive and will drive business results. In June 2014, HBR Analytic Services conducted a survey titled “Business Agility in the Cloud” to show the link between the cloud, business agility and increased competitive advantage. The survey sponsored by Verizon included 527 participants from large and medium business enterprises. The results indicate that 71% of the responses have implemented cloud computing to reduce complexities in business processes and IT management. Within the cloud adopters, 74% mention that their business is able to achieve competitive advantage by moving their business processes to the cloud. The Verizon report also explains that 32% of the companies having adopted the cloud are able to achieve business agility in rapidly changing and competitive markets. These 32% respondents further emphasize that with cloud adoption their enterprises are able to see benefits around speed, simplification and are able to connect with people and data which are all enablers of business agility. Looking into the above benefits and advantages and data, cloud computing models are becoming mainstream IT delivery models for enterprises. This entry was posted in Cloud and tagged cloud, cloud computing on May 4, 2015 by admin. Cloud computing offers immense potential and benefits for all types of organizations. 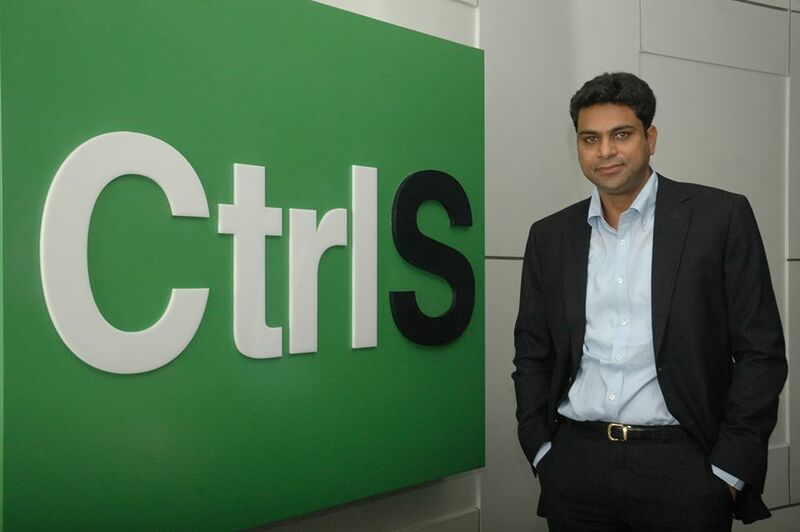 In India, the adoption of cloud computing is gaining momentum and growing exponentially. This is because of the government’s support in embracing emerging latest technologies and best practices derived from different cloud deployment scenarios and application areas. Research studies indicate that CIOs in India are planning to move their business operations to the cloud and this remains their top priority. Most of us are aware cloud computing has changed the way IT services are provisioned and used. Cloud’s potential of scalability and pay-as-you-go pricing models is the primary benefit extended by cloud services to organizations in order to achieve effectiveness through technology. In case of SMBs, cloud services minimize barriers to their growth by reducing infrastructure costs and upfront investments. During the last few years, IT professionals in many different organizations in India have witnessed and accustomed themselves to cloud adoption. Cloud computing usage is gaining momentum in India mainly because of government support, vendor offerings, and proven best practices, which have resulted in many organizations in India planning to move to the cloud on priority. Research studies done during the last 5 years indicate that Indian businesses are willing to spend over 36% of their IT costs on public cloud services due to its business flexibility and low costs. The study made by Gartner explains that public cloud service sales are worth 24.54 billion INR in 2013, which is a 36% increase compared to 2010 figures. Gartner predicts that growth is constant at compound annual growth rate (CAGR) of 33.2%. Smaller companies are more willing and quick to adopt public clouds because it reduces their upfront costs associated with new hardware, software implementations and maintenance costs. The Gartner study also predicts that the business potential of cloud computing in India will touch 89 billion INR by 2017. This statistical data is quite likely to change soon, but first let us have a look into cloud adoption across a few sectors. Cloud Services in government: The Government of India is embracing cloud computing technology for expanding its e-governance initiatives throughout the country. In India, the focus of e-governance is to reduce corruption and ensure the government schemes are reaching people living in rural areas of the country. Further, e-governance services ensure quicker service delivery and eliminate the involvement of middlemen who tend to capitalize on loopholes for quick money by means of exploiting people. To mention one initiative, the Department of Electronics and Information Technology under the Ministry of Communications and IT is highly optimistic of adopting cloud computing in governance and has made plans for the creation of IT enabled services, applications and policies towards achieving full benefits in different government initiatives. The department plans to offer solutions by electronic means, promote R & D initiatives, solutions for cyber-security and National Information Infrastructure, develop IT policies and so on, where cloud computing will be used extensively. Cloud adoption in manufacturing: Indian manufacturing sector has come a long way and the use of IT in manufacturing can be found since last over 2 decades. Since 2010, CIOs in Indian manufacturing have started adopting cloud models and this is highlighted in many research studies and industry circles. Some of the most notable application areas in manufacturing suited for cloud are CRM and supply chain applications which provide better connectivity to external stakeholders and customers. The area of business intelligence (BI) and business analytics (BA) is highly important for manufacturing sector because of large amounts of data generated in manufacturing which is a challenge for CIOs. For instance analytics will help the organization to better forecast products range and provide analysis for future investments in different business areas. BI helps to understand customer demands and provide inputs for demand shaping. Human machine interface (HMI) is another area where companies such as Jindal Steel have adopted cloud model for their HMI applications to quickly recover their ROI. HMI refers to interfacing IT systems like ERP with manufacturing executing systems (MES) and plant automation. In addition to the above applications, the other areas where cloud enhances manufacturing effectiveness are in data warehousing, information security, green IT, and many others. With increased number of IT companies and ISPs in India, cloud IaaS model is helping SMEs to have access to latest infrastructure thus reducing their in-house infrastructure costs. PaaS model provides immense advantages for software companies. PaaS supports developers with different development platforms and in turn providing savings to the company from heavy capital expenditure. Organizations big and small are having advantages by adopting SaaS model. For example, Indian companies by implementing applications such as SAP Business, Office 365, etc. tend to benefit greatly from the hassles of maintaining IT applications to result in cost savings. In addition to the above highlighted sectors, cloud service models are used in other industry domains such as finance and banking, advertising, health care, etc., slowly but steadily. The slow pace can be attributed to certain barriers such as inadequate knowledge of cloud technologies, connectivity issues and customer awareness in terms of ROI in cloud adoption. The above studies and data indicate that cloud adoption is fast catching up in India and transforming IT services to provide a new direction. In addition to this, new mobile technologies like SMAC (Social Mobile Analytics Cloud) are used by business organizations to gain competitive advantage and growth. NASSCOM’s “Perspective 2020” report is highly optimistic about India’s progress in mobility, broadband and internet connectivity over the next 2 years and beyond. From the above, it is more apparent that, cloud offers the most ideal infrastructure for operating a variety of IT applications across all types of organizations in India. This entry was posted in Cloud and tagged cloud, cloud adoption on March 30, 2015 by admin.